I made the decision this year that Christmas is going to be filled with more meaning and more details. With so much sadness and turmoil happening all over the world, wouldn't it be nice if we could all just step back this year and enjoy the true meaning of Christmas without the stress and list of must-dos? One of my biggest problems is that by the time December comes, I'm already looking forward to the new year and all the changes I hope to make. It isn't important to fill the house from top to bottom with decorations as long as you put out a few things that are meaningful to you and bring back happy memories. A pile of gifts for each person in your family isn't necessary as long as whatever you purchase was done in love. Be in the moment and enjoy all the small details around you. 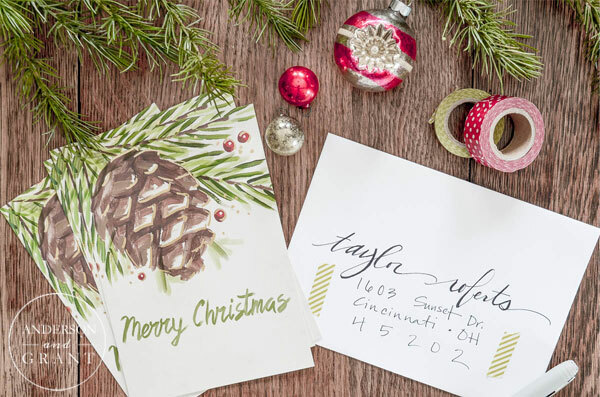 One way that I'm adding a few special details into my Christmas is by personalizing my holiday cards. Staples Copy and Print services makes it really easy to create custom cards that can be picked up at the store. The process is simple and there are a lot of layouts to choose from or you can design your own. The only stress that came from this whole process was when the store employee thought I said I was picking up business cards and couldn't find my order. Little moment of panic, but it was quickly resolved! I love being able to have a card that I designed myself with my own message, but that wasn't quite enough detail for me. 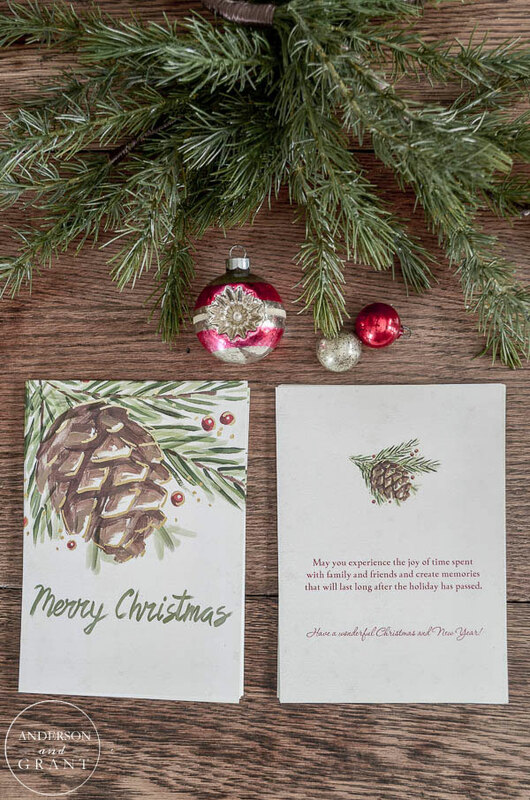 Getting a Christmas card in the mail from family and friends should be just as special as a small gift. There should be joy packaged inside that envelope so that whomever is opening it can sense that the card was sent with love, care, and thought and wasn't written out in a rush so that it could be crossed off of a to-do list. To make the envelope a bit more interesting, I searched Pinterest for inspiration in writing the recipient's addresses. This was all done with just a normal ball-point pen, but the extra effort really makes it seem fancy. Washi tape is a great way to add a little color and design to your envelope as well. I used it as decoration on the front and back. 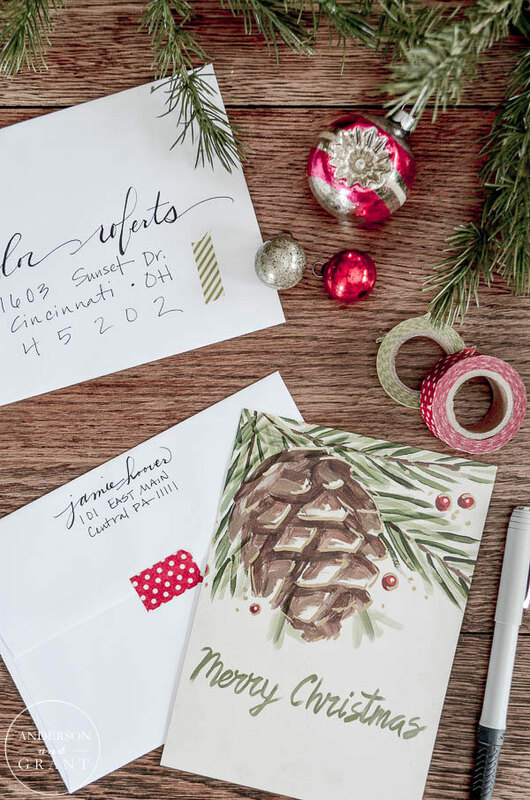 Another way that you can make your Christmas cards a little more special is to add a little scrapbook paper or wrapping paper to the inside of the envelope to create a patterned liner. 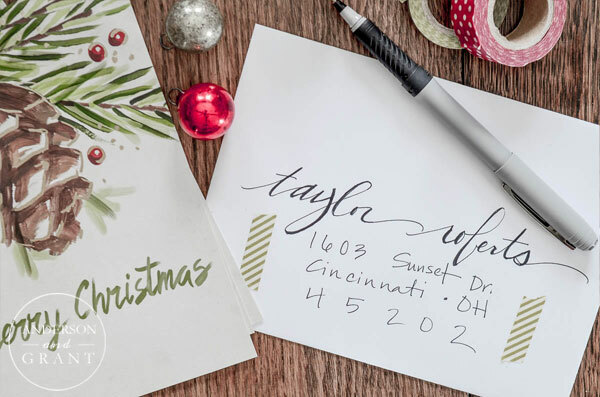 And finally, the most important step to take when sending out your Christmas cards this year is to add a personal note to the recipient. Really connect with the person you are sending the message to. 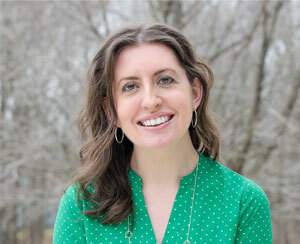 What can you share with them about your year? What can you say to encourage them if 2015 brought sadness their way? Sometimes the smallest, simplest message is all that is needed to brighten someone's day. My wish for you this year is that you can find the childlike joy and meaning in this holiday season once again. What ways can you find to make your season a little more special?